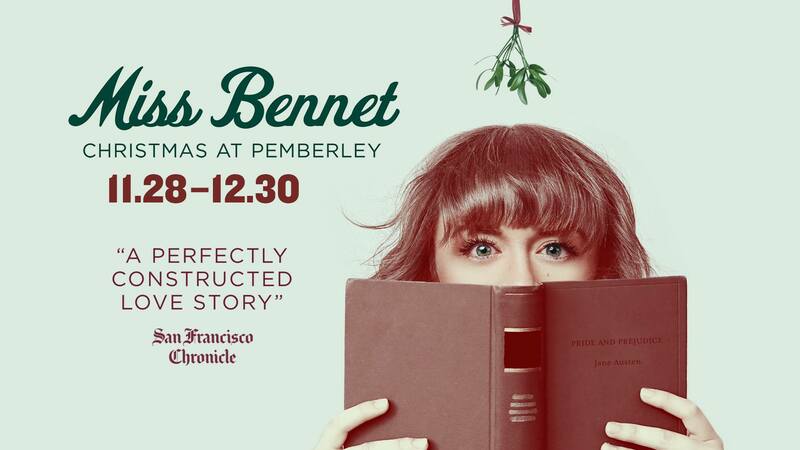 When playwrights Lauren Gunderson and Margot Melcon discussed their new play “Miss Bennet: Christmas at Pemberley” with American Theatre magazine, they talked about the construction of their title character. ‘Mary Bennet in [Pride & Prejudice] is woefully underwritten,’ says Melcon. ‘There is very little attention paid to her in the text, but there is enough to see who she is and how she functions in the larger scheme of this family.’ Her relative absence from the novel, though, means the playwrights had freedom to extrapolate her without risking much objection from die-hard Janeites. This is the world we are invited into during TheatreSquared’s telling of “Miss Bennet,” one of the most frequently produced holiday shows in the country. It is a very Austen world, filled with Victorian clothing and manners. Like in the book, it is the formality of early 19th Century customs that both cause family drama and create moments of levity when those traditions are broken. “Miss Bennet” is often funny as a result. 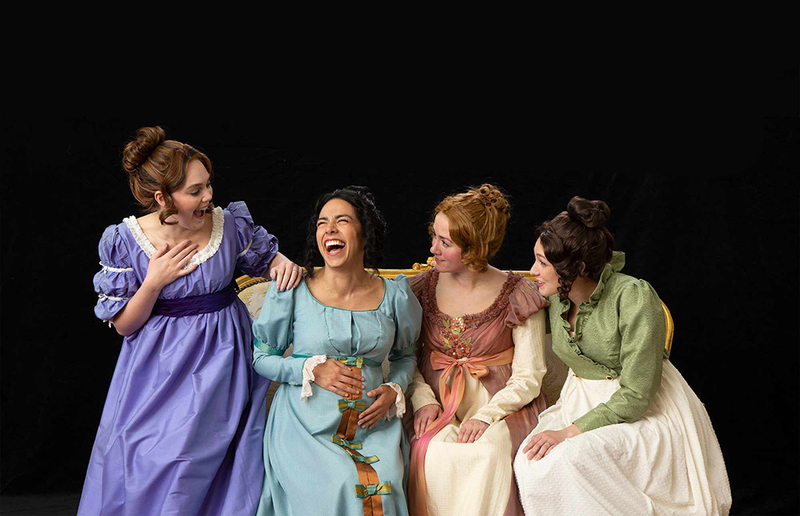 In this sequel of sorts, we are introduced to Mary Bennet (played by Tyler Meredith), the middle sister of the Bennet clan, two years after the conclusion of Austen’s beloved “Pride and Prejudice.” That book ends with her two older sisters, Elizabeth and Jane, married off to wealthy suitors. It doesn’t take us long to learn that a visiting lord related to Mary’s brother-in-law Mr. Darcy (played by Steven Marzolf) will be a good match for the bookish, sometimes sharp-tongued woman. But as in the source material established by Austen, family matters complicate the connection. Like Mr. Darcy in “Pride & Prejudice,” the visiting lord, Arthur de Bourgh (played by Will Mobley) is expected to marry a woman who isn’t a Bennet sister. The sisters intervene, even if briefly self-motivated like Lydia Wickham (Madi Watkins), a younger sister of the Bennet clan who is married but perhaps still searching. The action all takes place at the Darcy’s resident, Pemberley, which we are meant to believe is a grand estate. On stage, we only see the home’s drawing room, but it is certainly elaborate. First-time TheatreSquared scenic designer William Boles has created an elegant, elaborate space that looks like it extends far beyond what we see on the stage. Credit should also be given to composer and sound designer Eric Backus and most of the actors for crisp sound. Sound was a particular challenge on Friday (Nov. 30), which is when I attended. The damaging storms of that evening dumped round after round of rain, which pounded against the roof and tried to drown out the sound below. TheatreSquared did stop the proceeding for 10 minutes, just the third time they’ve had a “weather hold” in their nine-year history. It was a fleeting thing, and unpredictable. The actors did a fine job getting back into the flow of things. Austen – and the sequel script from Gunderson and Melcon – rely a lot on flow. There’s a certain cadence and song to the script, and the courtesy language that kicks off many sentences with repetitions of titles such as Mrs. Darcy, Mr. Darcy, Miss Bennet, Mr. Bingley, etc. could be problematic with lesser actors. There’s also a tremendous amount of expositional language and scene setting. That’s one of the ways the authors set up the payoffs in this period piece. But it’s also periodically a slow trudge toward the meatier parts of the story. It’s like a television series that takes 10 seasons to tell, but one that reaches its climax in season nine. The final moments don’t deliver, perhaps in part because the resolution to the relationship was so magical that it drew audible “awwws” from the audience. That’s the goal of holidays, and why this is a show gaining traction among holiday staples. 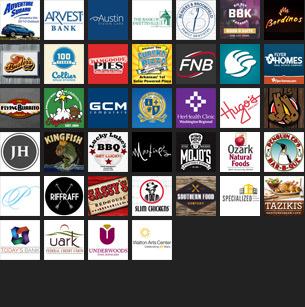 We just want to connect with people, and that’s something Austen and those who have followed in her footsteps still know.